A highly-detailed replica of the 1967 Lambretta LI ridden by the character Jimmy in “Quadrophenia” sold for an astronomical $209,000 USD at a Sotheby’s auction last weekend. 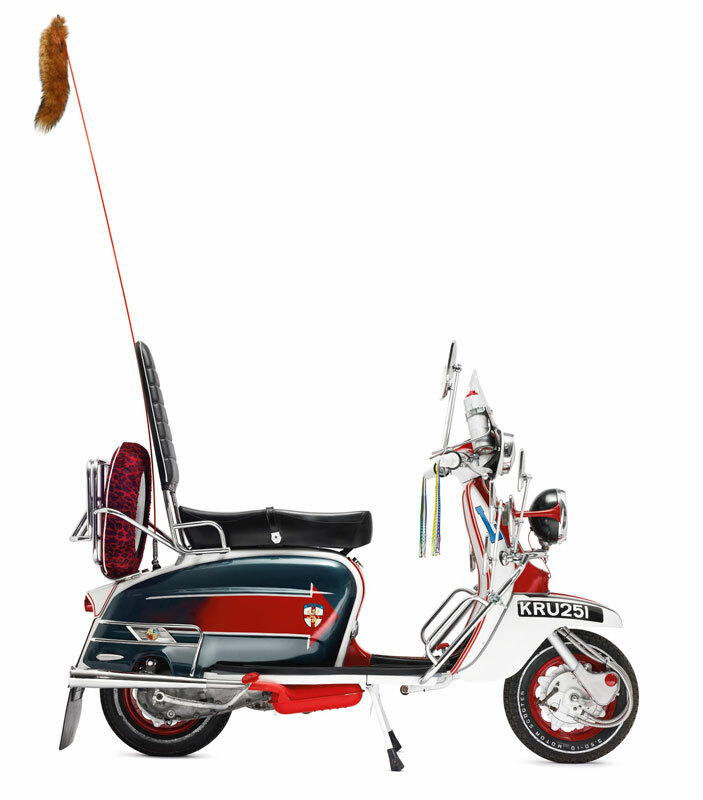 As desirable enough as the scooter is on its own, it’s also signed by the Who’s Pete Townsend and Roger Daltrey. The special auction benefitting the (RED) charity was curated by Apple design chief Sir Jonathan “Jony” Ive and designer Marc Newson. The lots included classic and unique design pieces such as a desk designed by the Ive and Newson for the event (sale price, $1,685,000), an Ettore Sottsass’ 1969 Olivetti Valentine typewriter ($60,000) and a Fiat Jolly 600 ($485,000). The replica’s high sales price is undoubtedly due to the charity and cachet associated with the special auction. The actual Lambretta ridden by actor Phil Daniels in “Quadrophenia” sold in 2008 for a mere £36,000 — $58,176 USD at the exchange rate at that time. That auction set a sale price record for a scooter in the UK. The replica, which sold for 3.6 times as much, may have set a world record. 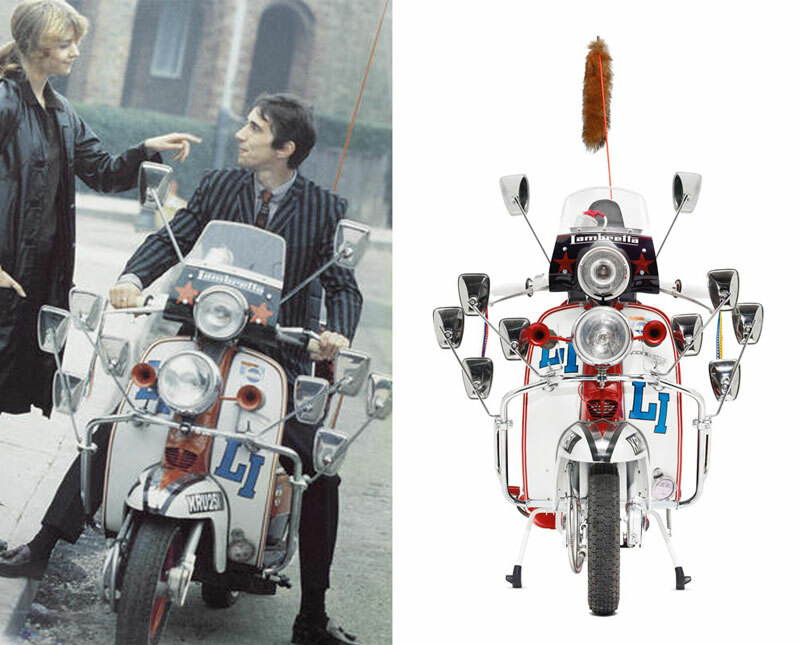 Phil “Jimmy” Waters in “Quadrophenia” (left) and the replica Lambretta sold at the (RED) auction (right).